It’s my Mum’s birthday today. 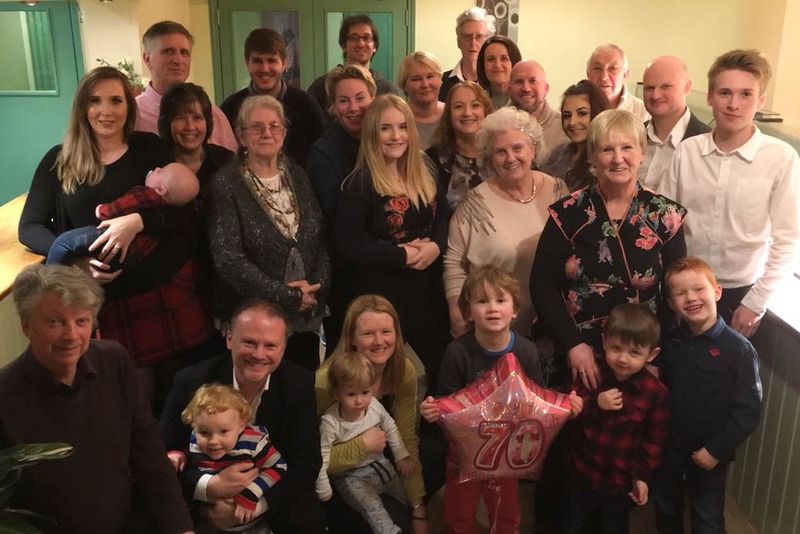 This time last year we celebrated her 70th birthday. I’d remember asking her at Christmas what she planned to do to mark the occasion but she wasn’t thinking beyond a quiet meal out then. Awaiting her 3 monthly scan results was overshadowing any celebration plans. A couple of weeks before her birthday she had a call from one of the nurse specialist in the Oncology Department. Charlotte knew it was Mum’s birthday soon and wanted to ease her mind and lift her spirits. ”I know you’re not seeing the consultant until after your birthday” she said. ”I expect your scan is preying on your mind so I just wanted to let you know your results are looking good’. That was exactly how Mum later described it to me ”it’s looking good”. In reality that meant it wasn’t looking worse. Her chemotherapy was aimed at slowing down the growths in her liver and after the previous month’s concern about the ”aggressive growth” of one of the tumours the news that it was the same size was good. We all breathed a sigh of relief. Mum decided she would like to invite a few people to join her at the local pub to celebrate. She kept it small, just family which included my brother, sister-in-law, nephew and niece who live in Germany, and two of Mum’s school friends. Little did we know it would be the last time we’d all come together. I’ve been thinking of Mum a lot in the run up to her birthday. Especially as it was Euan’s birthday yesterday. Each year that we’ve celebrated him has gone hand in hand with doing something with Mum and Dad. 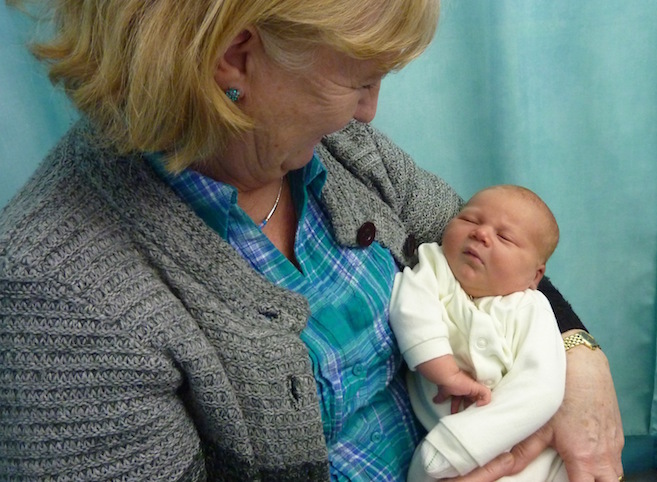 Mum met Euan for the first time on her 64th birthday when he was a day old. She was so thrilled to have another grandson especially after everything we’d gone through to have him. We were lucky to live nearby and benefit from being able to see her each week. Her death in August changed my perspective. Now I realise weekly, 4 times a month, about 50 times in a year was not enough. Had we known our time was going to be cut short we would have made different choices. 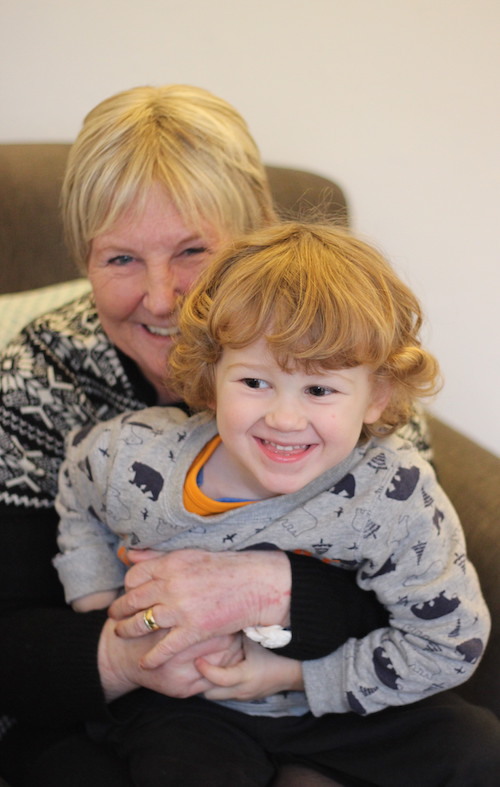 The boys have been blessed by having such a devoted Nana in their lives even if it was time cut short. 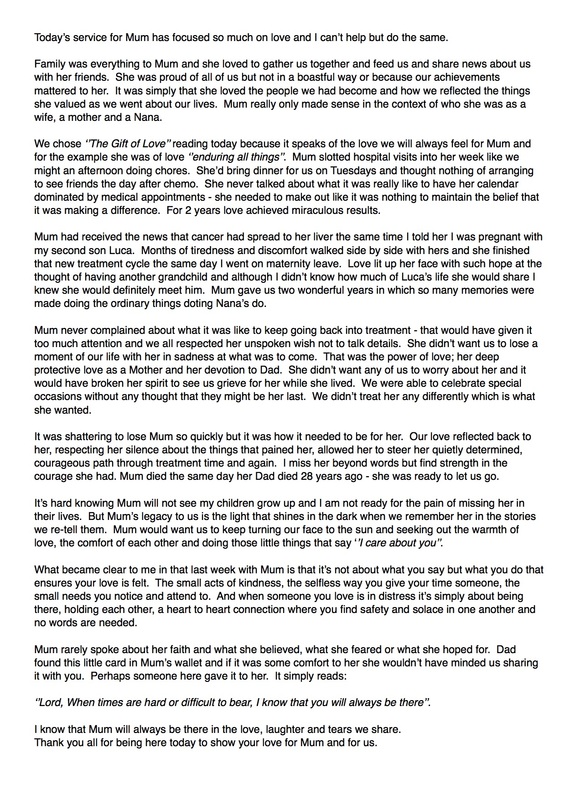 Planning my Mum’s funeral with my Dad was one of the hardest things I’ve ever had to do. Speaking at her funeral, a decision that saw me swing between the belief that I couldn’t and knowing I needed to, was THE hardest thing I’ve ever done. Up until a couple of days before my Mum’s funeral I wasn’t entirely sure I’d be able to follow through and had a friend on standby to step in and read for me if need. Then I realised that fear and anxiety had created the safety of a Plan B but I didn’t want that to be an option. My Mum faced living with cancer with such courage I wanted to honour her by pushing through my own anxiety (if you know me in person you know how paralysing the thought of speaking in front of a large group of people would be for me). I resolved to recite the words I’d written from my sheet and not look at anyone. George said he was happy to stand beside me when I asked if he would. I eased the worry I felt around standing in front of everyone by practicing holding hands with him and really leaning into the feeling of that. It sounds silly I know but it was a hand hold for courage and strength I needed so it had to feel comfortable and directed by me. He promised not to give me an ”are you ok?” hand squeeze that might break my concentration. He was amazing at putting my feelings before his own. People say a funeral can be a healing point to move forward from when you lose a loved one. 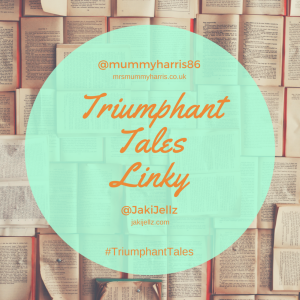 I can see how my own grief journey would have been very different had I not found the courage to share some words as Mum’s daughter. I needed to be public about the depth of our pain at losing her and to let people know how brave she was. She was so self-sacrificing in the way she privately dealt with her illness that few people knew how unwell she was. When we shared the sad news of her death it was a shock to almost everyone. It was important to share something of her need to live with cancer unburdened by other people’s sadness. It was important to me to share so that when my boys are older they know something of the love we felt for her and the miss we feel. It feels important now that they remember I had a Mum once and that the bond between a child and parent never breaks. These are the words I shared for Mum. Very brave girl. Love your words and sharing a time of grief, helps a bit to trust and looking forward to the future. Speaking, writing to you helped me a lot, too. Thanks for that. oh lovely Nina, you helped me just as much as I helped you. 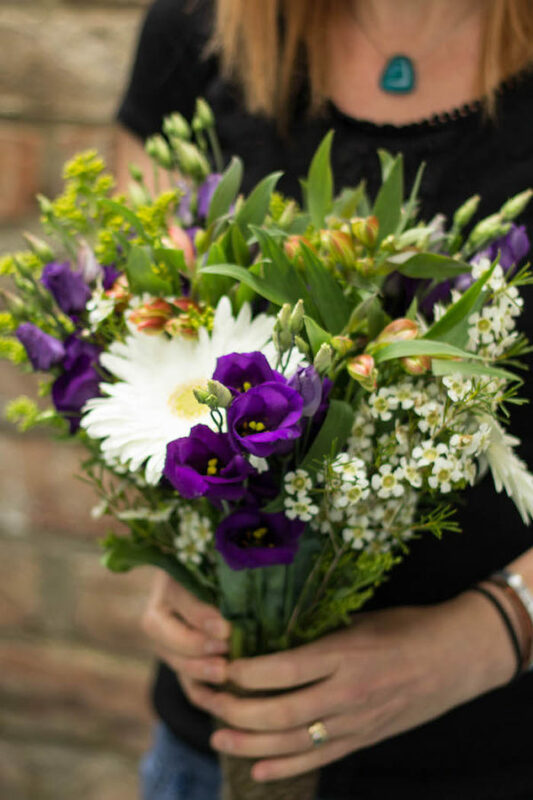 The strain during Mum’s death and funeral was intense and having you checking in to see how I was and being my quiet shoulder of support as I was being lent on by others really helped. Thank you so much for your message. I had a lovely birthday thank you. Can’t believe we are 44, where have those years gone? Your beautiful boys are growing up quickly. Harry will be 8 in March. Sally and I are going to try and arrange a catch up soon. I know Jo wants to too. Would be lovely to try and get together. Hope you are doing something nice for your birthday.